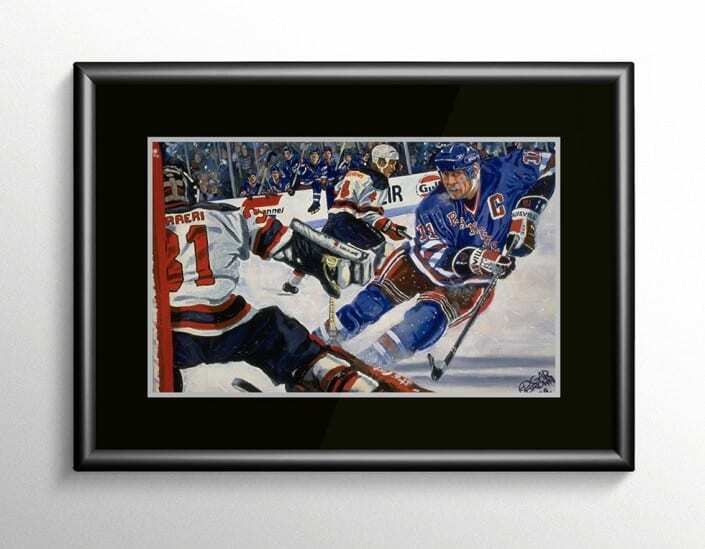 Painting inspired by New York Ranger Captain Mark Messier. The birth of the Messier legend came as a New York Ranger in the 1994 Eastern Conference Finals against the rival New Jersey Devils. Edgar’s painting captures the excitement as the Ranger Captain makes the shot.